1. 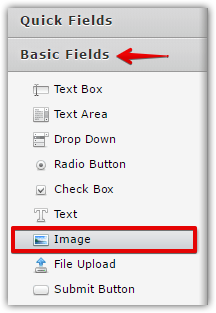 Go to the Basic Fields tab in the Form Builder and drag it in your form. 2. If the Image Wizard didn't show up automatically, you can just click the Wand icon to open it. 3. 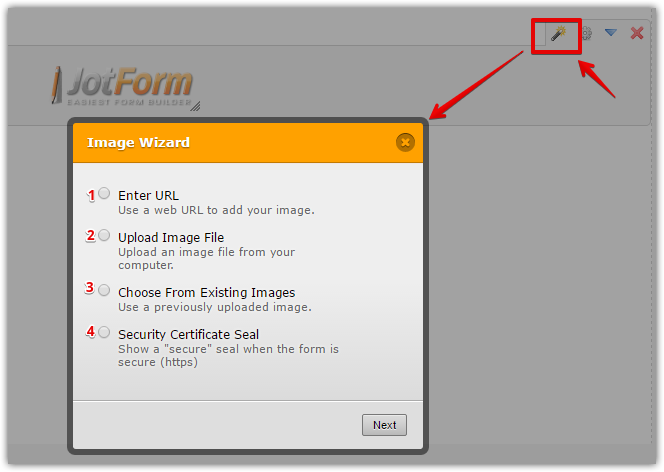 In the Image wizard, you can upload an image, use an image from a different server or use an image that you previously uploaded in your account. I hope this helps. 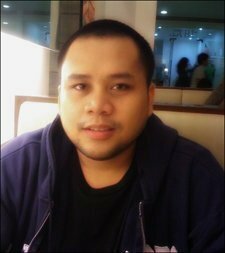 If not please provide us more information of your inquiry. Thank you.